Special Update: If you’ve tried this wine, I would love to hear your opinion in the Comments section below. Many people have been commenting on this wine. Some really love it and some are finding an issue with it. How about you? Appearance: In the glass, the wine showed a deep purple color and was very leggy in the glass. Price for Cupcake Red Velvet about $11.99. Highly recommend! If you’re more of a Pinot Noir fan, please check out my review of Cupcake Pinot Noir. Raspberry, Cherry, Coconut … all these flavors sound amazing to me. I am not a big wine drinker, I love champagne topped with saint germain, but I enjoyed your review very much and will definitely try out your recommendation! Just tried this wine & it was undrinkable. Tasted like chemicals and was absolutely disgusting! I did not taste subtle hints of mocha, coconut, raspberries or blackberries. The only thing I can compare it to is having subtle hints of nail polish remover. We spat it out immediately. Wow! If you’re tasting chemicals in the wine than something is seriously wrong. Sorry to hear about your bad experience. I had to triple check to make sure this was the same wine I’m drinking. It’s so acidic I can barely drink it. It burns going down and the breath out is down right painful. I see another reviewer commented that their bottle was also practically undrinkable, and I definitely catch the acetone reference. The flavor is not unlike a nine volt battery. I wonder if perhaps it’s hit and miss by bottle? It came highly recommended to me by several friends. Hi Sarah! Thanks for sharing your thoughts on this wine. It’s interesting that two people now have noticed similar flavors they didn’t like. Like you said, it may be hit and miss by bottle. But still, not a great experience for you. We have been drinking the 2010 Red Velvet Cupcake all summer. Love it! Everything in your review Jon was right on – all good! Are you kidding? This wine was smooth and light and dessert like, just like it’s name. I didn’t personally find it sweet. It was dry enough to be pleasant but mild too. What a pleasant surprise. I prefer it to Zinfadel which is a touch too sweet and mild for me, but it was a little lighter bodied than a Merlot, though I liked it for a similar depth of flavor. Red Velvet. Like 2 of the other posters, I found this wine too acidic with a very strange chemical like aftertaste. 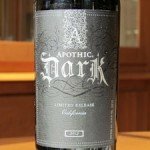 I was surprised because my favorite blend is Apothic Red and they have the same blend of wines. I couldn’t even finish my glass and ended up pouring out the bottle. Maybe we did just get some bad bottles, but I won’t try it again to see if that was the case. Disappointed! Hi Donna… Thanks for sharing your honest opinion, much appreciated! I’ve been a fan of this wine for awhile and recently got a bad bottle that tasted bad and acidic as described above. Thanks for sharing, Ruth. Hope your next bottle is much better! I just bought my first bottle and loved it. Your review is spot on with my experience. I just tasted this wine today, and I have to agree with the other negative reviews. The nose had a chemical air reminiscent of plastic or rubber. The wine was not sweet at all, but rather dry and acidic. It really tasted like some kind of solvent. I got it at Target, and I really want to take it back now, but I can’t find my receipt. I do not doubt that others have had a better experience, so clearly it must be unstable or the makers do not have a process that creates a consistently good wine. Just awful. Thanks for commenting Angela. I appreciate the candid review. I absolutely agree with your review. I love how smooth this wine is and it’s definitely my favorite! I don’t sense anything fake or chemical about this wine at all…and I have a very strong sense of smell. I’ve purchased a number of bottles and have never had a bad experience. I know this wine is specifically marketed to me as a 20-something female, so I kinda don’t like that I love it so much! Thank you for an honest review. You’re very welcome, Sarah. I say drink what you love! I am very shocked by the negative comments about this wine. I live in NYC an buy this wine at my local liquor store. I have never had a bad bottle and I have purchased many cases since I discovered it about 1 1/2 years ago. I serve it as my “house wine” and always receive very positive comments on it. If it is being sold at stores like Target – which surprises me – I wonder how it has been stored? The comments about a chemical smell and after taste make me think we cannot be describing the same wine. 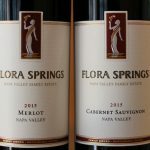 I love this wine – it is delicious and affordable. Thanks for jumping in and voicing your opinion, Kristie! This was soooooo good. And for the price… I’m in LOVE. Smooth and flavorful!!!! Tried it before I read the reviews just on a whim! I totally agree with this review!!! YUM!!! I purchased a bottle a recently and was absolutely repulsed to the point that i poured the whole glass out. There was an unmistakable resemblance to raw hamburger meat. Rave reviews aside, this wine was disturbingly meaty, not fruity as claimed on the bottle. Nor did it have any resemblance to a blackberry chocolate cupcake. I claim false advertisement. I wonder if those who thought this Cupcake wine tasted like acetone were drinking other Cupcake wines and not the Red Velvet. I loved this wine so much I picked it up for a special friend and after raving about it’s cake-y flavour and gorgeous structure found a merely average wine. I had remembered it as really something special and I apologized to my friend. In the morning cleaning up I noticed the label was not the Red Velvet. I didn’t make that error again and it’s always spectacular. I just tried this wine… its really nice. Loving it. I had a bad bottle of 2011 cupcake red velvet recently and was shocked because I bought many 2011 bottles before and they were excellent. The cupcake red velvet is usually so good that I knew immediately there was something wrong with that bottle and brought it back for a refund. I am now only buying the 2012 vintage, which is delicious. I am finding out that all bottles of the same vintage are not always the same in many wines, not just the cupcake. That is really a letdown when that happens. Thanks for sharing your experience with everyone Suzanne. Let’s hope the 2012’s stay consistant. Enjoying a glass of this right now! Hubby brought a bottle home for me and I immediately came to your site to make sure I’d like it :) Mine’s a 2012 and it doesn’t disappoint. You’re right, it really is a creamy wine and I picked up on the cocoa right out of the gate. Had a hard time picking out the finish, but you’re absolutely right, it’s coconut. This is now on my permanent list of must haves. Awesome! Thank you Christy, you’re very kind. If you check out Cupcake’s FAQ’s section on their website, they say “We did not use wheat, barley or rye in the production of these wines.” Your best bet is to contact the winemakers directly, just to be safe. Cheers! Jon, I was wondering if there is a preference based on the underlying blends to try the Red Velvet chilled or room temp? I’m a little leary about some of the negative reviews and I am hoping for a positive experience! Hi Jill… Yes. 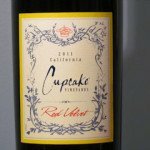 Cupcake Red Velvet is a blend of Zinfandel, Merlot, Cabernet Sauvignon and Petite Sirah. Generally, those variatels are served at room temparature. Now if the wine’s base was a Pinot Noir, slightly chilled would be more the norm. I think Cupcake wine taste nasty! no body and synthetic. I also tried the wine and It was hands down the worst wine I’ve ever tried. It tasted like gasoline, very much like a chemical flavour. I could not even drink half a glass and poured the rest of the bottle out :(. I love trying new red wines (and I’m not too picky) but this was a huge disappointment. Similar to some of the other reviews I absolutely love red velvet, however recently I purchased a bottle that had a terrible taste of chemicals and plastic. I think there are some inconsistencies in the batches. I have a review of Cupcake Pinot Noir coming up. I’ll be curious to hear people’s opinions on that one too. If it’s hit and miss like Red Velvet, that might indicate it’s a problem in how they process their wine and not the organic ingredients. The experiment continues! Terrible. Initial smell = cheap wine. Initial taste = cheap wine. Finish = weak. Verdict – $5.00 wine. And I wouldn’t drink it at that price, either. I am surprised there is no mention of the smoky flavor.. tastes like I’m drinking a campfire! I am definitely not complaining, I love this wine! This was a lovely surprise of goodness. I only bought it because it was on sale and the name was cute and I needed another bottle to complete the six pack for the 10 percent Safeway discount. Tomorrow I am sending my husband back to get a six pack of Red Velvet while it is still on sale. Thanks for sharing your opinion Vivian! i don’t love this wine it made me very very sick, just had it last night and i had a feeling by the name it must be sweet that it would make me sick and i was right wish i would of listened to my gut instincts, now i am struggling to feel better. My new favorite wine! YUM YUM YUM! I love the red velvet…smooth, slightly sweet. I also taste the coconut finish. 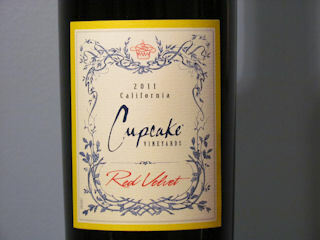 I have tried other Cupcake wines and haven’t loved them but this is a good one. I will definitely buy it again. Tried this wine last week with sushi and wasn’t impressed… Hubby couldn’t even finish it.. Now sitting on patio and giving it another shot, paired with some chocolate and YUM!!! I was in heaven!! After reading these comments about the acetone taste, I can now taste it but couldn’t before. I can’t say I would buy it again, but I am surprised by the complexity of the flavors and how they hit the tongue at different times. Thanks for the comment, Missy. Gotta love chocolate! First time trying this wine and i’m absolutely enjoying every sip!!! store didn’t have my regular go to so i thought to just try it since it was super affordable. the bouquets is wonderful with plums and blackberries. then the smooth feel and med acidity just won me over. dark chocolate hits me right off the bat then the dark cherries and definitely the hint of coconut. LOVE, love, love it! Do you happen to know if this wine, or any of the other reds by Cupcake, have strawberries in them? I’ve checked all over the place, including their FAQs, but can’t find anything that really says either way. I love their moscato, and I’m really interested in trying this one, but I’m very allergic to strawberries. I know it would probably be a good idea to contact them directly, but I figured since I was already on this page, why not ask? If I were in your shoes I wouldn’t take a chance. Definitely, ask them directly. For example, what if they happen to grow wild strawberries nearby and they accidentily make it to the presses? Unlikely, but better safe than sorry. I love the subtle hint of chocolate! I also really enjoy the Moscato. Someone needs to tell “Sans Allergen” that all wine is virtually gluten free. If you’re allergic, it’s one thing. But if it’s just dietary- you’ll never notice any gluten it’s so miniscule. 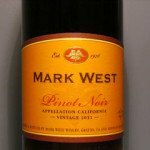 Now for the wine- I don’t like it at all, but I sell the heck out of it at my stores as a “Menage” or “Apothic” style smooth red. I haven’t tasted it often enough to comment on vintage or bad bottles out there. My customers seem to love it though. I wasn’t a real wine drinker until I tried this at a wine tasting during a vacation trip a year ago. I went from buying it by the bottle to by the case. I Love It. Now for those people who found it not to their taste I suggest pouring a glass and let it breathe for two or three minutes. The tongue kiss and aroma goes delightly smooth. Is this best served room temperature? I refrigerate my Cabernet but leave all other reds room temp. Not sure with this blend; it has Merlot so I would think room temp? Hi Stephanie, I would serve this at either room temperature or slightly chilled. 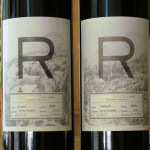 Have you tried Cabernet at room temperature? I’ve found chilling Cabernet mutes the flavors quite a bit. But that’s just me! I wonder if people just have different tastes in regards to this wine- maybe it is polarizing, or maybe the wine batches are inconsistent. I could not finish a glass (a first) and agree with the comments that say it tasted like an odd, synthetic, chemical taste- so had to look it up to see if others had the same reaction. Undrinkable. Thanks for weighing in Steve! Rubber. Even after rinsing with water and brushing my teeth, I can’t get it to go away. And it is the Red Velvet. $12 a bottle isn’t a lot, but there are much cheaper and too many good equivalently priced wines that are far, far better. Won’t buy again. Thanks for the comment, Jan. The more people that weigh in, the better. Bought 2012 Cupcake Red Velvet to complete a case solely based on the cute name and my daughter’s love for “Cupcake Wars”. I was very pleasantly surprised by this wine! I have another bottle of Cupcake Cabernet waiting in the wings that I hope will do the same. Thanks for the comment Barbara! Definitely some smart marketing by Cupcake Wines. Cheers! I bought the 2012 Cupcake red wine and it is disgusting. Just opened the bottle and it is not for consumption. The other reviews said the same as I think of this red wine. Is it really a bad bottle? Or is it a ‘bad batch and no one wants to tell the consumers? I first tried this bottle a blind tasting. There were 9 bottles of wine being tasted and graded by 9 women. During the tasting comments started to arise about bottle 7 (the red velvet) and how fantastic it was. It stood out from the rest. Only one person didn’t like it- her comment was that it tasted to minerally on the palate. Otherwise, it was a favorite for the other 8 women present. I would buy it again, but also think there are other wines at the same price point to enjoy. My husband and i just bought the Cupcake Red velvet 2012, and it was not good in the least bit. A family member told us about the Cupcake cheesecake wine but we were unable to find it and bought the red velvet instead. However, we were very diasppointed. Very dry and acidic. I was really hoping for a great flavor. We are not big wine drinkers and usually like sweeter wines, but this was not it. We will be returning it to make sure it was not a bad bottle, but i am thinking maybe this is just not the wine for us. But i would love to try other cupcake brand wines. We bought ours from walmart, which is stocked by vendors so it should not have sat very long except maybe on the shelf. Thanks for all the comments, everyone. Keep ’em coming! Everyone benefits from all this good info. Janet, I hadn’t heard about Cupcake Cheesecake, just the Cupcake Angel Food. Haven’t tried either yet, but I bet they’re both sweet in flavor. Thanks for mentioning it. I have been drinking this for about 2 years now. I absolutely love it and haven’t found anything else I enjoy as much ! Any suggestions on something else I should try ? Cheers ! 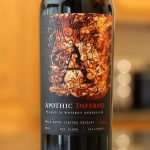 You may want to try Apothic Red. It’s a blended red as well. Some love it, some hate it. If you try it, I’d be curious to know what you think… Cheers to you! Janet, another similar and easy-to-find wine in the same price range is Menage-a-trios red. Did not like it. I ate some chocolate and it paired well with that. I prefer sweet wines; therefore, I probably will not purchase it again. Thanks for the commenting Von! A lovely wine, one of my favorites in the price range. I’m frankly amazed that there are comments such as “undrinkable” or “terrible”. It’s normal to have variations in taste but not THIS much. I am starting to wonder if there’s a consistency problem and after about a dozen bottles I just haven’t happened to find a bad one yet? At any rate, considering I can usually find it at $8 – $9, it’s become a real go-to for me. I just opened this wine for the first time on Thursday night, and I was pleasantly surprised. It’s a drier wine than I’m used to (I’m a newbie wine drinker, only the last 2.5 years roughly) and it was a nice change of pace for me. I’ll probably be buying this one again as my tastes continue to mature, especially for $8 or $9/bottle, it’s very affordable. Thanks for commenting Liberty! And continued good luck to you in your writing career. Tried the Cupcake Red Velvet on your recommendation, liked it a lot, especially since i got it on sale for $7.99 at Price Chopper with a $10 rebate on six, great deal. Definitely will buy again. Awesome Deb… Thanks for the comment! I was pleasantly surprised by this wine. When I started drinking wine….I never had a good experience with reds, so I stayed away. Pinot Grigio was my go to. A friend recently bought me this wine when she came to visit. I gave it a chance. It’s now been my go to when I’m staying in for the night catching up on my dvr ;) Great sipping wine. Great at room temp or chilled. I don’t care for too sweet of wines and this one seemed just right! I have been drinking this wine for over a year. It’s the best. Very mellow, smooth finish. Thanks for sharing your opinion Joe… Cheers! I agree with your review too. When I discovered this wine a couple years back I liked the name and it definitely lives up to its name in flavor yet still remains dry enough (not over-sweet) to appeal to me since I’m not a fan of truly sweet reds. I really wish I could find the Black Forest one. I saw it advertised several years back but never encountered it even though I occasionally check. 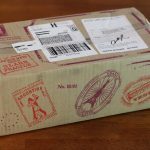 Could you review the Layer Cake brand Cabernet? Since I like Cupcake so much I wondered if Layer cake was also good to its name. Thanks for commenting Jill! I’ll keep an eye out for Layer Cake Cabernet for a future review. So far I’ve reviewed Layer Cake Pinot Noir and Layer Cake Malbec. I bought the Layer Cake Cabernet. It lives up to the name. Its one of my favorites now, lots of depth of flavor. Thanks for commenting Jill! Always good to find a wine you like. I love your writing style so so much, it’s very pleasant, welcoming and warm. I work at Safeway and bought it today, have not yet tried it but wanted to read more about it prior to my tasting. Such a love/hate relationship from what I can read listed in the comments, jeez haha. Anyways, if it’s not great I’ll just go buy a cupcake and pretend it never happened. Alex, thank you very much for the kind words… Great to have you as a reader. I tried this wine in a tasting event with about 6 others. We tried the Cupcake and also Apothic Dark at the end after some wines from Italy, Spain, Chile and Argentina in the same price range.. I had heard it was a slightly sweeter style, and was looking forward to it. It smelled like chemicals and tasted about the same. I had no problem spitting it out right away. It left a nasty aftertaste. The Apothic Dark was the same, although had a less chemical smell. That one made my teeth a very unnatural color. Honestly, the last two didn’t even seen like wine. They tasted more like something made in a laboratory. I will stick to my Roscato Sweet Red. Unless you’ve heard something about a bad batch? I haven’t heard specifically of a bad batch, but others have had similar experiences as you. Nothing wrong with sticking with what you like… Cheers! Quick question. Is this the type of wine that people should be refrigerating or serving at room temperature? I think most people just assume to chill the wine, sometimes that’s not the case, and to be honest i’m only asking because I am new to the wine world. Hi Chris, thanks for commenting! Generally, people chill white wines more often than reds. Especially sparkling white wines. Reds are often served at room temperature or chilled to 58 to 65 degrees F.
But, it’s really a matter of preference on how you like your wine served. I like my reds at room temperature, because I feel like I can taste the flavors and sense the tannins better. I like my whites slightly chilled, but not refrigerated, because I feel refrigeration mutes the flavors too much for my palate. So, I would serve this particular wine either at room temp or chilled as I mentioned above for reds. Also, sometimes the winemaker will put the wine’s suggested serving temperature on the bottle label. So, always check the label. Just triedr this wine for the first time today and it was terrible! Tasted like plastic and was bitter. I am drinking this for the 1st time tonight, it was new a Walmart and I Googled it and it had good reviews so I thought I would try it. I love it ! This is a great tasting wine, not super dry or tart? and you definitely get that hint of chocolate -mocha, I also like a wine that leaves a warm lingering! I think this has become new favorite! Thanks for commenting Lynn… Cheers! I love my red wines. I tried this because my husband said a coworker raved about Red velvet for weeks. I wasn’t impressed. It had a very unpleasant alcohol burn-taste. I actually preferred this as the “day old wine” left in the fridge. Very disappointed. I was hoping for a fuller flavor and stronger chocolate hints. The chemical smell was a turnoff as well as that terrible alcohol burn. Did not feel smooth to me.